A story of relationships between parents and children and between sisters that will make you smile. Each sister starts her journey young , is tested by life, and becomes a better more mature person. As with life, the tables turn and the roles reverse. Parents take care of children, and then children take care of parents. The book explores family dynamics and the nature of fate. 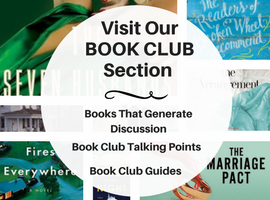 Great for book clubs looking for a light read with substance and great character development. 1. The Andreas family is dedicated to books, particularly Shakespeare. Would the family be different if their father were an expert on a different writer? Edgar Allan Poe, let's say, or Mark Twain? What if they were a family of musicians or athletes, rather than readers? How might that change their dynamic? Is there an interest that unites your family in the same way that reading unites the Andreas family? 2. The narration is omniscient first person plural ("we" rather than "I"). Why do you think the author chose to write the novel in this way? Did you like it? 3. Which sister is your favorite? Why? Which sister do you most identify with? Are they the same character? 4. Do you have any siblings? If so, in what way is your relationship with them similar to the relationship among the Andreas sisters? In what way is it different? 5. Each of the sisters has a feeling of failure about where she is in her life and an uncertainty about her position as a grown-up. Are there certain markers that make you an adult, and if so, what are they? 6. In what ways are the sisters' problems of their own making? Does this make them more or less sympathetic? 7. The narrator says that God was always there if the family needed him, "kind of like an extra tube of toothpaste under the sink." Is that true, or does the family's religion have a larger effect on the sisters than they claim? How does your own family's faith, or lack thereof, influence you? 8. In many ways, the Andreas sisters' personalities align with proposed birth-order roles: Rose, the driven caregiver; Bean, the rebellious pragmatist; and Cordy, the free-spirited performer. How important do you think birth order is? Do you see those traits in your own family or in people you know? 9. Father Aidan tells Bean, "Your story, Bean, is the story of your sisters. And it is past time, I think, for you to stop telling that particular story, and tell the story of yourself. Stop defining yourself in terms of them. You don't just have to exist in the empty spaces they leave." Do you agree with Father Aidan? Is it possible to identify one's self not in relationship to one's siblings or family? 10. Is it irresponsible of Cordy to keep her baby? 11. How does the Andreas family deal with the mother's illness? How would your family have coped differently? 12. The sisters say that "We have always wondered why there is not more research done on the children of happy marriages." How does their parents' love story affect the sisters? How did your own parents' relationship affect you? 13. What do you think of the sisters' father, James? Is he a good parent? What about their mother? 14. Why do you think the mother is never given a name? 15. The narrators' mother admits that she ended up with the girls' father because she was scared to venture out into the world. Yet she doesn't seem to have any regrets. Do you think there are people who are just not meant to leave home or their comfort zone? 16. Bean and Cordy initially want to leave Barnwell behind, yet they remain, while Rose is the one off living in Europe. Do you think people sometimes become constrained by childhood perceptions of themselves and how their lives will be? How is your own life different from the way you thought it would turn out? 17. 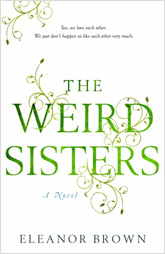 When you first saw the title, The Weird Sisters, what did you think the book would be about? What do you think the title really means? 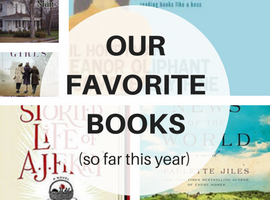 From the Publisher: A major new talent tackles the complicated terrain of sisters, the power of books, and the places we decide to call home. There is no problem that a library card can't solve. The Andreas family is one of readers. Their father, a renowned Shakespeare professor who speaks almost entirely in verse, has named his three daughters after famous Shakespearean women. When the sisters return to their childhood home, ostensibly to care for their ailing mother, but really to lick their wounds and bury their secrets, they are horrified to find the others there. See, we love each other. We just don't happen to like each other very much. But the sisters soon discover that everything they've been running from-one another, their small hometown, and themselves-might offer more than they ever expected.